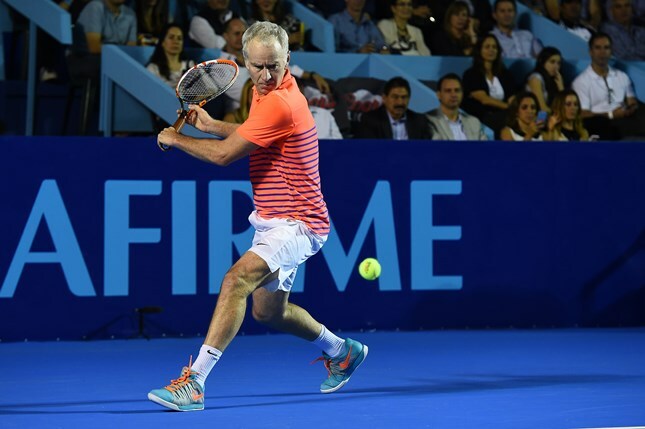 Considered one of the greatest tennis players of all time for his significant skill and finesse, seven-time Grand Slam champion John McEnroe is one of the few retired ATP greats that you can see on the regular basis, on court and off. As a former World No. 1, McEnroe sparked some of the most intense rivalries the game has ever seen, battling the power and pace of Ivan Lendl, the aggressive counter punching of Jimmy Connors, and the “ice cold” groundstrokes of Björn Borg. The left-hander won a career total of 77 singles titles (fourth all-time behind Connors, Lendl and Roger Federer), but no record of his can be matched than that of when he represented his country in Davis Cup. A member of the U.S. Davis Cup Team from 1978-1984, 1987-1989, 1991-1992, McEnroe amassed a record of 59 total wins and 30 ties played within a 12-year period. The American still plays regularly on the ATP Champions Tour, allowing him to continue his iconic rivalries with old adversaries. When not on court, the New York native can been seen regularly on CBS, NBC, Tennis Channel, and ESPN as an on-air analyst and now as a coach and consultant for Canada’s Milos Raonic.